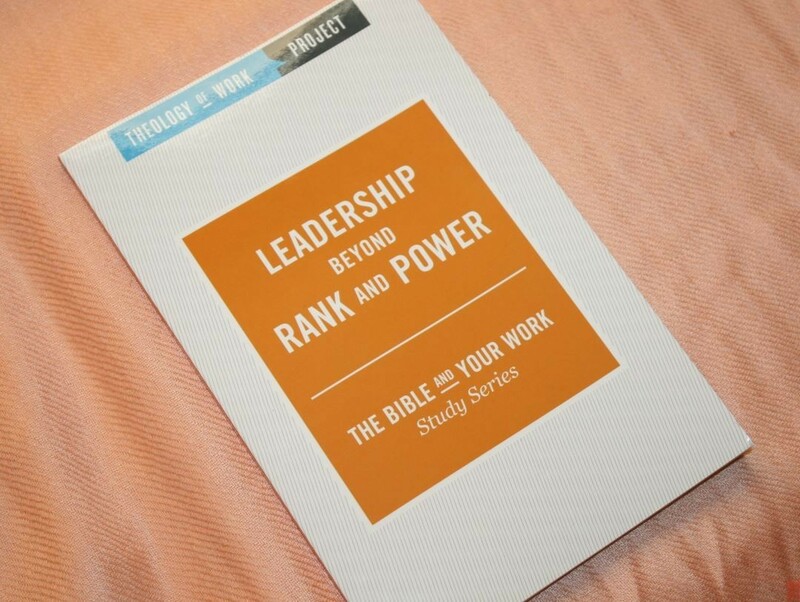 Leadership Beyond Rank and Power is part of the Theology or Work study series called The Bible and Your Work. 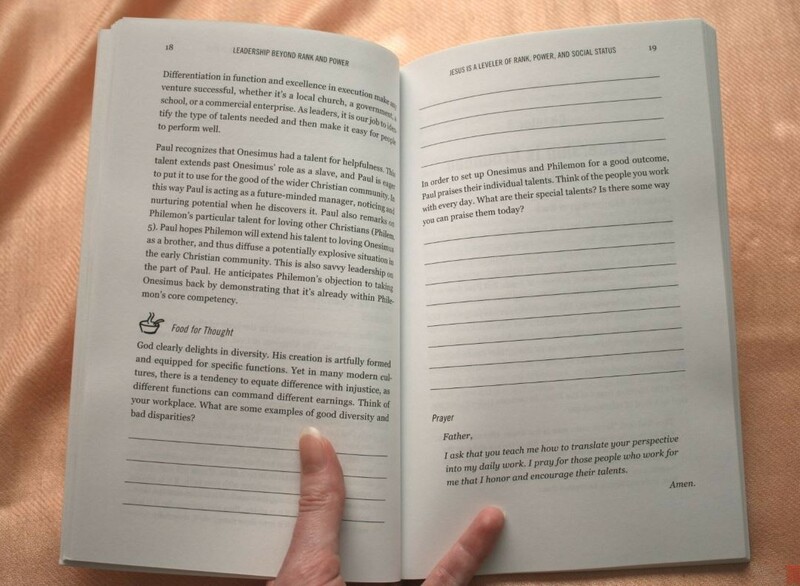 The focus of this book is dealing with reconciling the demands of your workplace with your values and faith. The book uses Paul’s letter to Philemon and takes a topical look at leadership and how it relates to rank and power, and even beyond that to justice and mercy. The mission of Theology of Work Project is to study what the Bible says about work and learn how to apply our faith to our work. We all have to work, but we can’t leave our faith at home. Our faith is a part of who we are. The Theology of Work Project gives insights on how to do our jobs better, improve relationships, and find value in our jobs. 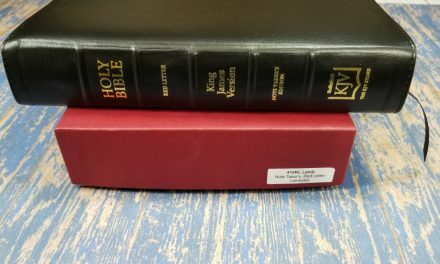 This study, The Bible and Your Work, is one volume of the series and is intended for both individual and group study, with group study being preferred. It has three lessons per chapter. The lessons discuss the setting, situation, and leadership challenge or concepts from Scripture. 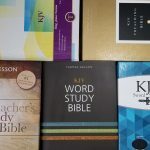 Scripture is mostly taken from the ESV. Other translations are identified when the verse is given. 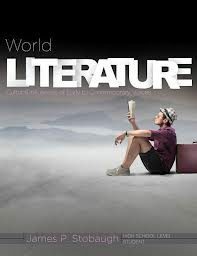 Greek word studies are used where appropriate. After the lesson is a section called Food For Thought. This discusses several points and raises questions about those points. A few lines are provided for you to write your answers. After this is a section labeled Prayer. This is a short prayer to help you end the session. The lessons cover lots of leadership subjects including how to approach a situation, diffusing conflict, the effect of social status, building a strong brotherhood, recognizing diverse talents, building relationships, using technology, growing others, how to use authority, bearing costs, becoming a servant, trusting God, facing opposition, standing firm, dealing with failure, building leaders, resolving conflict, building trust, transparency, how godly leadership is effective, and lots more. The letter to Philemon was a good choice for this study. It has lots of leadership examples that include power, rank, justice, mercy, and in handling conflict. 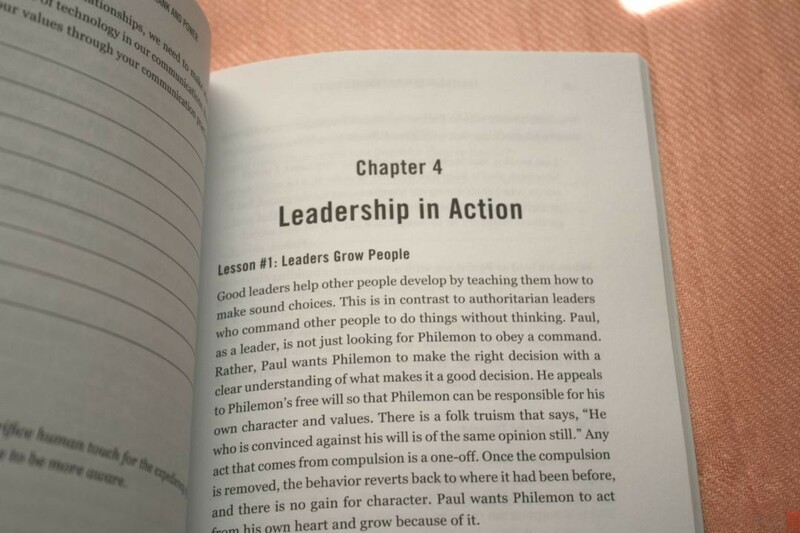 The lessons discuss why the book is structured the way it is, which in itself demonstrates leadership principles. 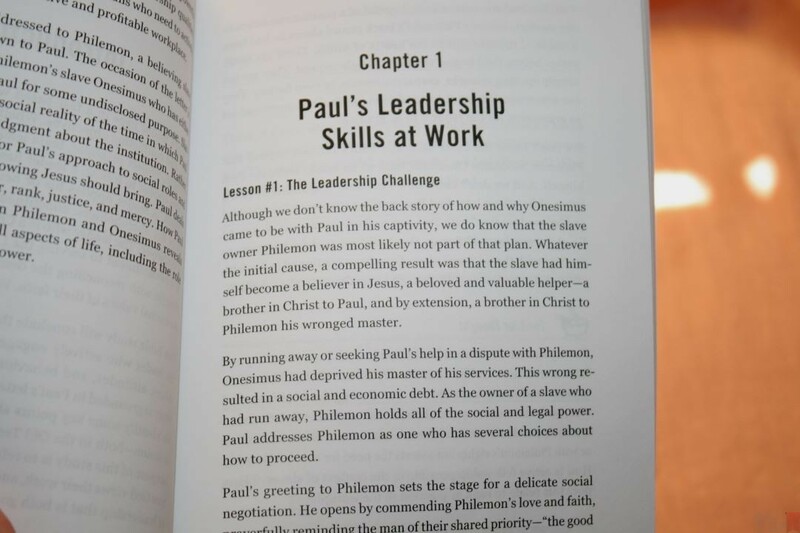 The amount of leadership concepts that are found in the book of Philemon are impressive. None of the concepts are read into Scripture or made to fit. The concepts are there and the guide demonstrates them well. If something isn’t clearly revealed (such as how Philemon responded) then it’s pointed out that we don’t know. Other Scripture is used to develop points. This removes speculation and makes the study more valuable. 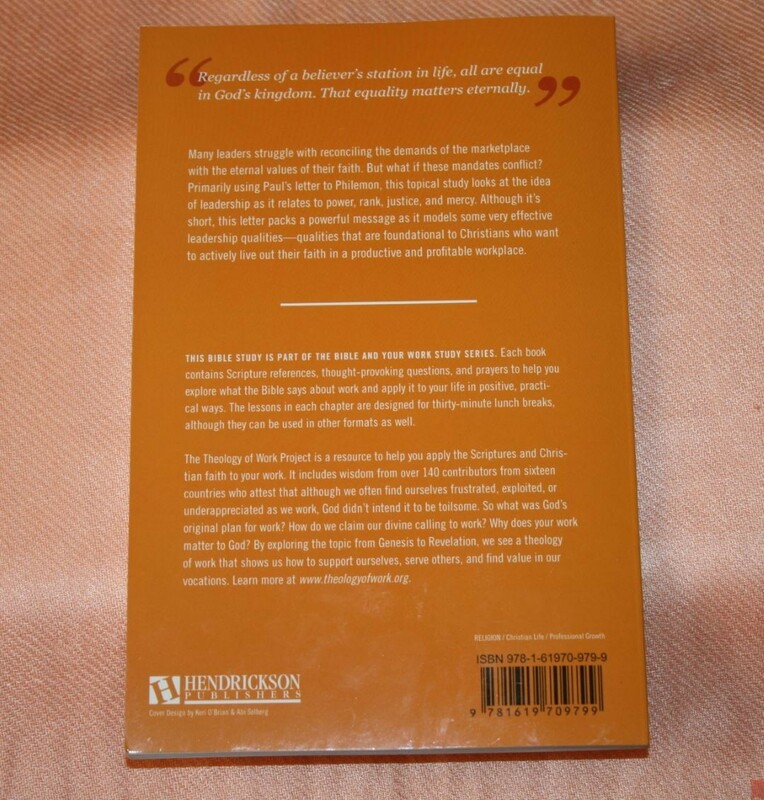 The back of the book is a section on how to use the study guide in the workplace. This section provides guidance on being sensitive to others, time, the company’s policies, and being prepared. It also provides links to videos, interviews, and other materials. 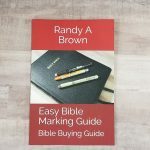 A short leader’s guide steps you through leading a study with tips about praying for the study group, the spiritual battle, preparing Scripture ahead of time, how to use the lessons, other helps (such as commentaries) in the Theology of Work series, using the video clips, and more. The leader’s guide uses Scripture as guidance and encouragement. I recommend studying The Bible and Your Work while at work. Your fellow workers would have the opportunity to study with you and would make your workplace that much better for everyone. 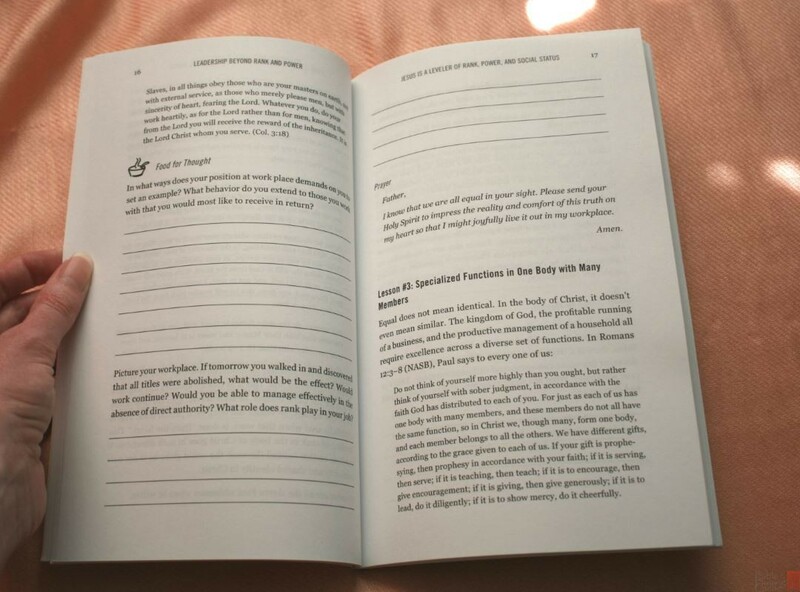 The lessons are designed for 30 minute chunks, making it a perfect choice for studying during a lunch break. I enjoyed reading Leadership Beyond Rank and Power from The Bible and Your Work series. Leadership is an interesting topic for me anyway and this guide helps put it into perspective when it comes to doing our jobs. We all have a leadership role in one form or another and leadership concepts in this guide apply to everyone. 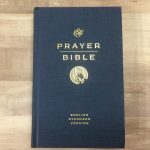 The subjects of leadership and the workplace are not theologically biased and neither is this guide. This is a helpful series when dealing with others, which is guaranteed in the work-place. I work from home and I still find this guide helpful for communicating with clients and readers. I highly recommend Leadership Beyond Rank and Power. Hendrickson provided this book free for review. I was not required to give a positive review.